Complete panel upgrade with Aspen Evolution 2500 PFD/MFD displays along with the addition of a full Garmin stack in a newly installed instrument panel!! Wait til you see what this Commander 114 looked like before the upgrade! Check it out in our Photo Gallery to see the before and after pics. Globalstar Sat Phone and Sat-fi Dealer! Eagle Avionics has teamed up with Bradley Aircraft Company to provide Avionics and Maintenance under one roof! Check out all of our solutions to your ADS-B IN/Out dilemmas to get your ready for the 2020 mandate. Call or email us with any questions on pricing or for more information to see what works best for you! Come check out what Globalstar has to offer! Think of the times you were up at 10K feet and wishing that you could call or text a loved one. Now you can with a Sat phone from Globalstar! They also have Sat-fi for those of you who like being able to surf the web while on your long flight. Every aircraft owner has their unique personality and disposition. Because of this, every instrument and radio panel needs to be set up to their taste. This requires a broad range of communication with our customers. 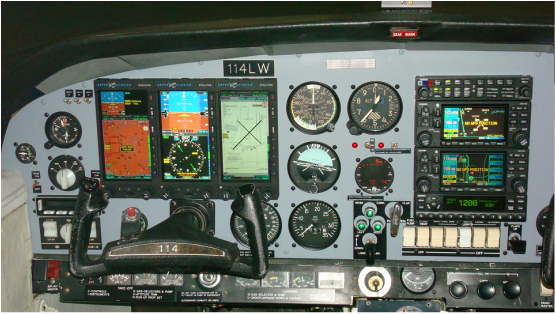 Here at Eagle Avionics, we've been in the avionics business over 32 years and with a wide range of experience and a wealth of knowledge, we're ready to provide you with an instrument and radio panel that you've always envisioned. Whether you want your aircraft IFR or just VFR approved, we can help you with our expert guidance to effectively come up with a solution to meet your needs. STRATUS ESGi Complete ADS-B IN/OUT Systems! Order your STRATUS ESG ADS-B OUT Transponder today to get your aircraft ready for the January 1, 2020 ADS-B Out mandate! Click on the picture on the left to visit Appareo's Website to take a look at their complete ADS-B IN/OUT solutions at very affordable prices! ​Please contact me for a quote! ADS-B IN/OUT on this amazing LYNX Transponder from L-3 Avionics that displays FREE ADS-B weather and traffic on the face!! That's not all. This awesome unit also comes with the capability of displaying weather and traffic on many panel mount displays and via WI-Fi right over to your IPAD for those of you wanting a much larger display of your weather and traffic! 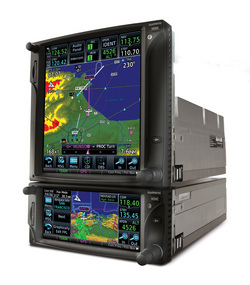 Check out Avidyne's new slide in replacements for your Garmin stack!! Replace your existing Garmin GNS 530, 430 GPS/NAV/COM, GMA 340 Audio Panel, GTX 330 Mode S Transponder, and your S-Tec 55X autopilot without the Installation costs!! Val Avionics provides very economic solutions for your aircraft avionics needs! 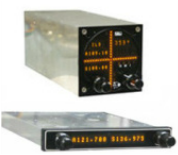 Whether it's the very reliable, affordable NAV 2000, INS 429 VOR/ILS/GS, COM 2000 or any of their other products, you can't go wrong if you're looking to get rid of the old avionics that you just can't get repaired any longer. They also provide Remote Nav and Com units that will integrate with many experimental EFIS systems. Check out the Dynon Skyview Touch solution for your experimental or Light Sport aircraft! This thing is awesome with tons of cool features. Go ﻿﻿﻿﻿h﻿﻿er﻿e﻿﻿﻿ for Dynon's website for more info on this and other products that you may be interested in. When you find which solution best works for you or if you need our help in figuring out what is the right fit for you contact us today for a quote and more information or to schedule a consultation. The Advanced AF-5000 Series EFIS system is another full featured affordable solution for your Experimental or Light Sport aircraft. This series comes in many different sizes to meet your space requirements for your panel. Go ﻿﻿﻿here﻿﻿﻿ for more info on this series or check out their other products at Advanced Flight Systems website. Call 812-372-3790 or email andy@eagleavionics.net today for a quote, or to set up an appointment for panel planning or other avionics needs.